How Global Supply Chain Group Can Help CEOs? Business Transformation using Supply Chain as key leverage helps align strategy with market reality, and maximise your profit. The average tenure of CEOs has gone down from more than 8 years to less than 4 years in the last 20 years. Yet, there is a pressure to achieve more outcomes, more change, more results during that time frame. Organic change is not an option in most cases. Transformative change always needs a mixed team of key internal business experts and world-class external subject matter experts. Business Transformations need a tried-and-tested, well-conceptualised, pragmatic framework. It also needs a flexible, yet robust methodology. 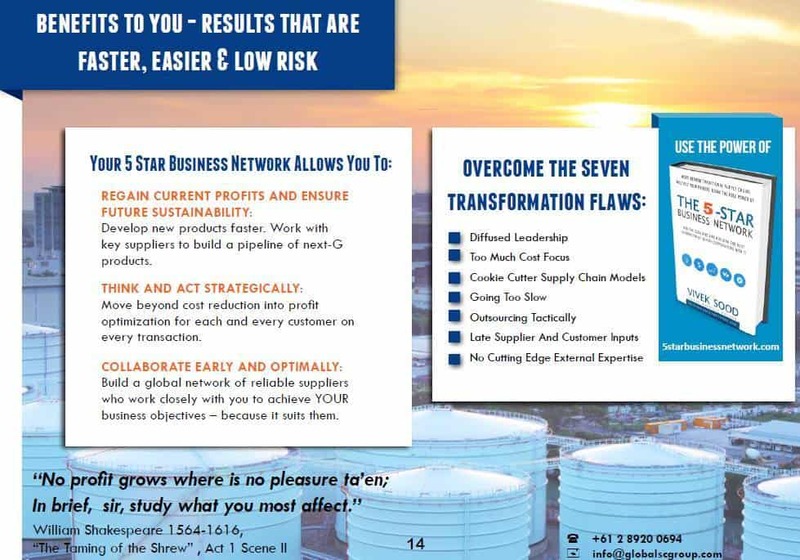 No doubt, you will want to know case studies of business transformations, evidence of overwhelming success, and, testimonials. You may also want to know why, and how, our framework and methodology will work in your business. We welcome a confidential discussion with you and your chosen team to answer your questions. Here is the best way to contact us for that purpose.